OLIVER PEOPLES – Headquartered in West Hollywood, CA, Oliver Peoples Inc. was co-founded in 1986 by eyewear visionary and designer Larry Leight. 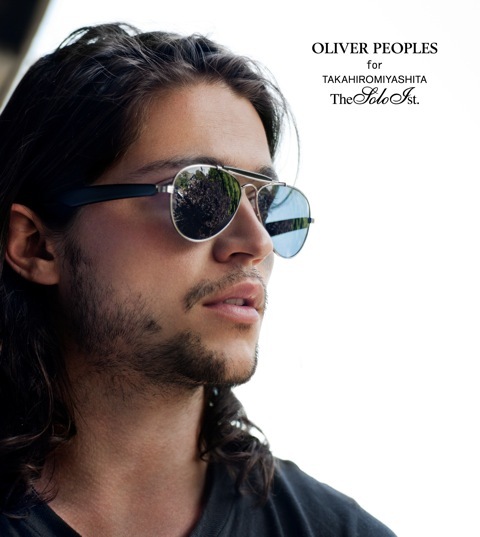 The Oliver Peoples brand is worn by many of the world’s most progressive and influential professionals, including many in the entertainment industry. 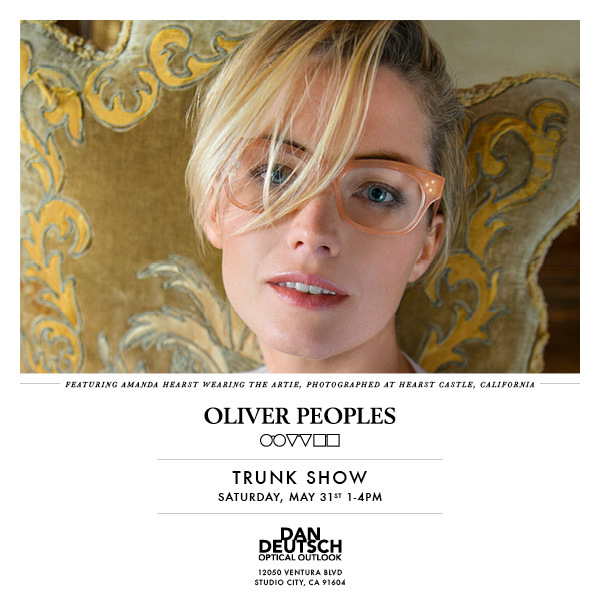 Trunk Show featuring the latest eyewear from Oliver Peoples. We will previewing every frame in every color from the Oliver Peoples S/S 2014 collection, as well as their new California-inspired line West. You can join the event now on FACEBOOK or G+! Come and get a look at the sizzling Oliver Peoples Summer 2012 collection, featuring Braverman, Mande and Olivia. There will be music, refreshments, gift bags with purchase, and special pricing during the event. We’re giving away a little something just to get in the mood.